The practice has recently completed the new headquarters for Cartrefi Conwy a registered social landlord operating in North Wales. 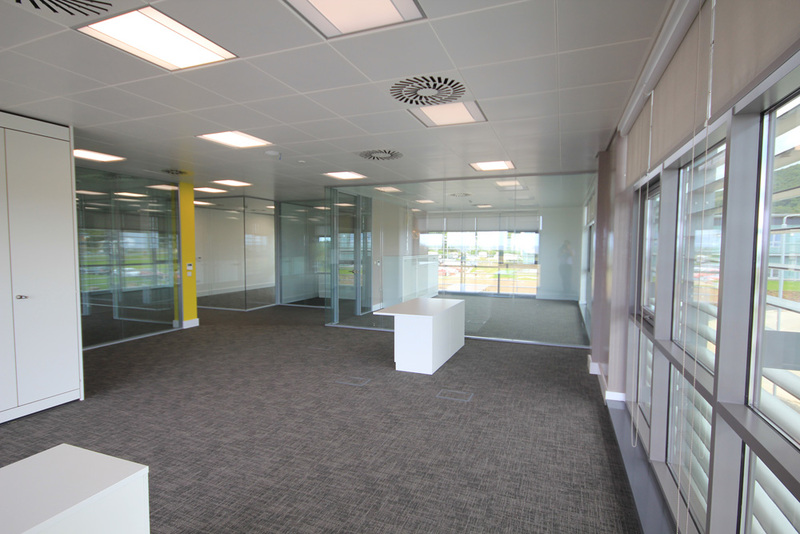 The headquarters provide 15,750ft2 over two floors and has achieved a BREEAM rating of ‘Excellent’. A key factor to the ‘feel’ of the scheme is orientation – relative sun path and corresponding openness/ quality of light as well as maximizing the wonderful views – out to sea, to the tree canopy and long vistas up to the castle and along the coast to the Great Orme. Community facilities and management suites occupy the front areas of the site with the more private business areas located in the rear and upper levels. Internal walls are predominantly glazed in cross section to allow views and light through and out of both sides of the building.